Network slicing allows sharing of the physical network infrastructure resources into independent virtual networks thereby giving an illusion of multiple logically seperate end-to-end networks, each bound by their own SLAs, service quality and peformance guarantees to meet the desired set of requirements. 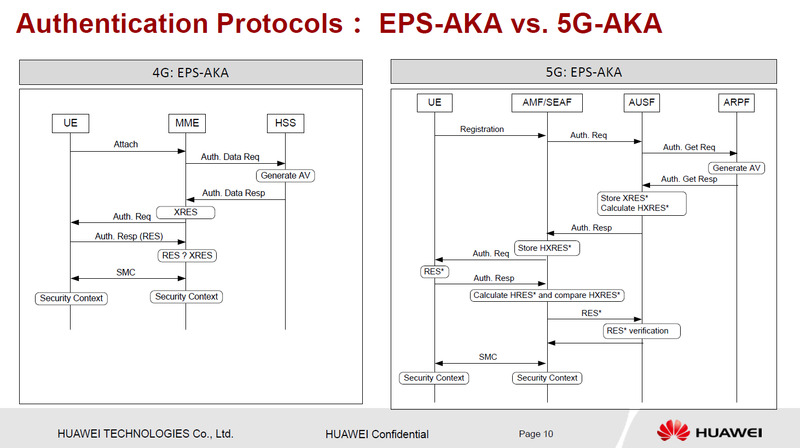 While it is being officially defined for 5G, there is no reason that a proprietary implementation for earlier generations (2G, 3G or 4G) or Wi-Fi cannot be created. 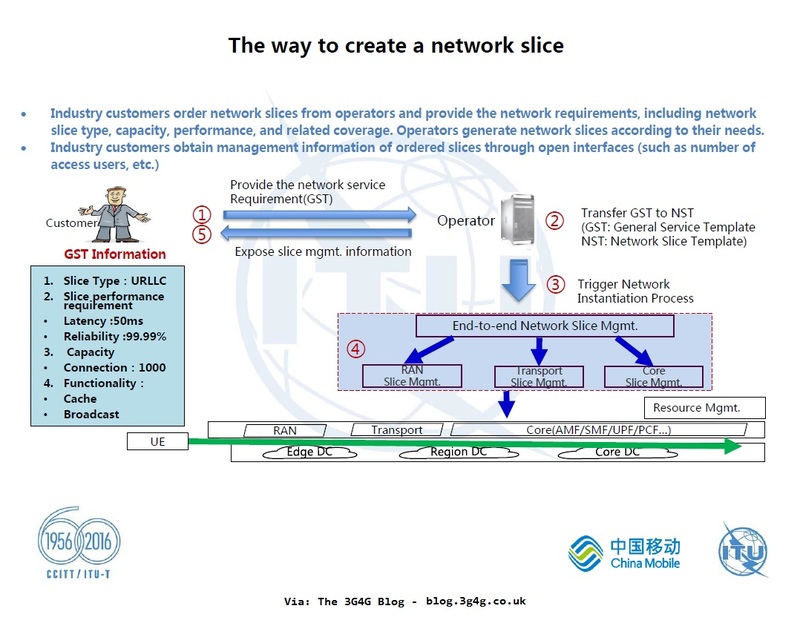 Industry customers order network slices from operators and provide the network requirements, including network slice type, capacity, performance, and related coverage. 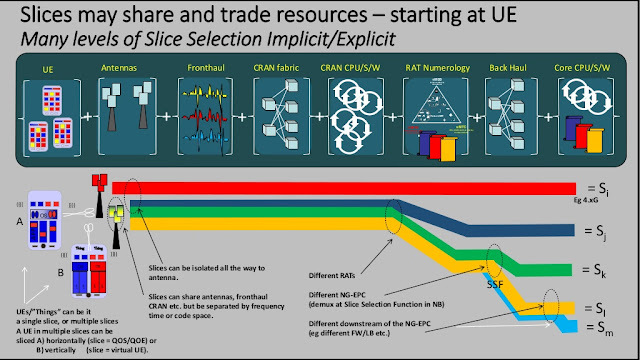 Operators generate network slices according to their needs. Provide the network service requirement as General Service Template (GST). Allocate the necessary resources and create the slice. Expose slice management information. Industry customers obtain management information of ordered slices through open interfaces (such as number of access users, etc.). Let's take an example of Power Grid. The picture below shows the scenario, requirement and the network slicing template. As can be seen, the RAN requirement is timing and low latency while the QoS requirement in the core would be 5 ms latency with guaranteed 2 Mbps throughout. There are other requirements as well. The main transport requirement would be hard isolation. 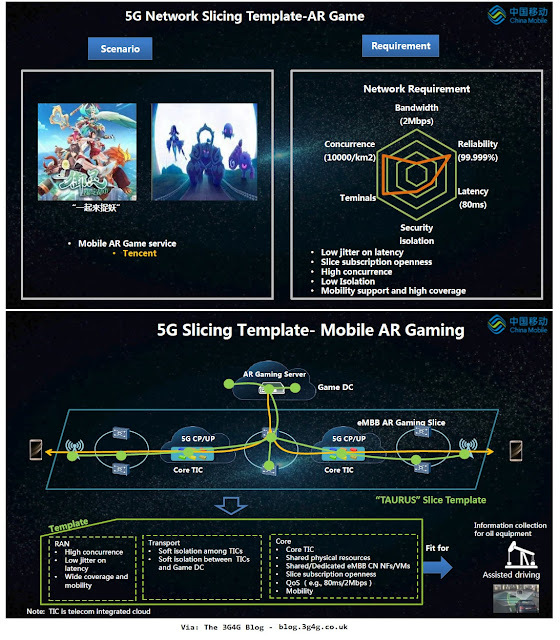 The Network requirement for AR Gaming is high reliability, low latency and high density of devices. This translates to main RAN requirement of low jitter and latency; Transport requirement of Isolation between TICs (telecom integrated cloud) and finally Core QoS requirement of 80 ms latency and 2 Mbps guaranteed bit rate. GSMA: Presentations and recording from the 5G Network Slicing Summit at Mobile World Congress Shanghai 2018. ETSI Security Week 2018 (link) was held at ETSI's Headquarters in Sophia Antipolis, South of France last week. It covered wide variety of topics including 5G, IoT, Cybersecurity, Middlebox, Distributed Ledger Technology (DLT), etc. 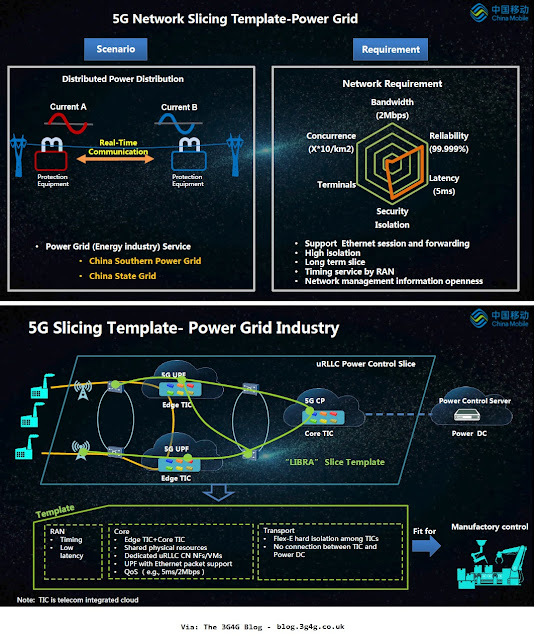 As 5G and IoT is of interest to the readers of this blog, I am providing links to the presentations so anyone interested can check them out at leisure. 5G phase 1 specifications are now done, and the world is preparing for the arrival of 5G networks. A major design goal of 5G is a high degree of flexibility to better cater for specific needs of actors from outside the telecom sector (e.g. automotive industry, mission-critical organisations). 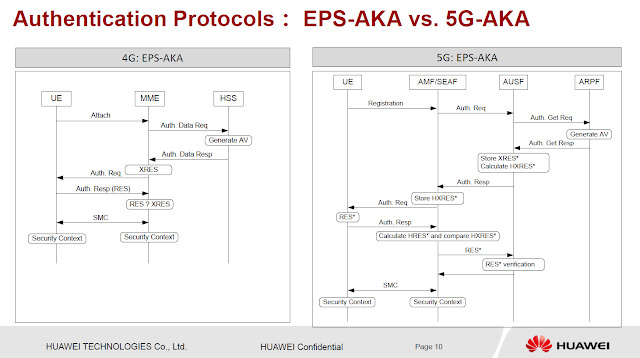 During this workshop, we will review how well 5G networks can provide security for different trust models, security policies, and deployment scenarios – not least for ongoing threats in the IoT world. 5G provides higher flexibility than legacy networks by network slicing and virtualization of functions. The workshop aims to discuss how network slicing could help in fulfilling needs for different users of 5G networks. 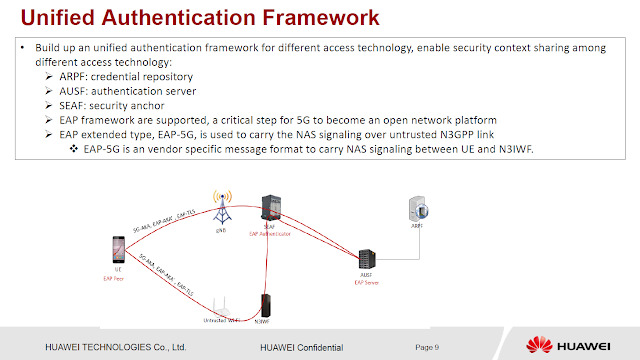 5G will allow the use of different authentication methods. This raises many interesting questions. How are these authentication methods supported in devices via the new secure element defined in ETSI SCP, or vendor-specific concepts? 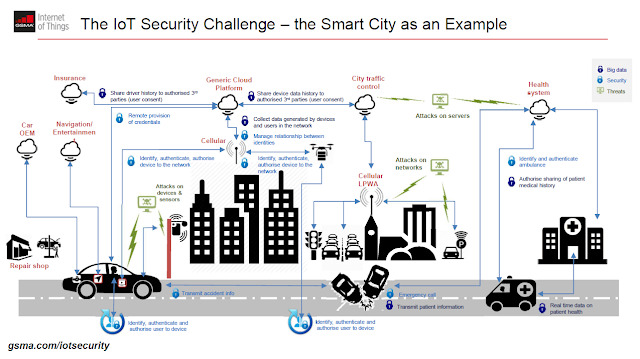 How can mission-critical and low-cost IoT use cases coexist side-by-side on the same network? 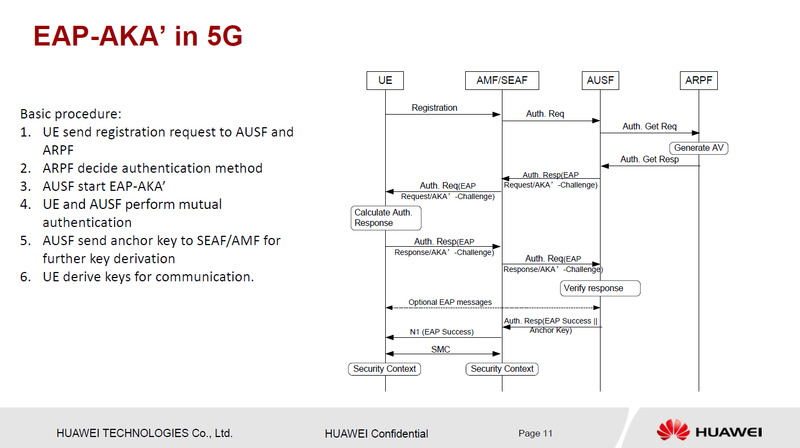 The 5G promise of higher flexibility is also delivered via its Service-Based Architecture (SBA). SBA provides open 3rd party interfaces to support new business models which allow direct impact on network functions. Another consequence of SBA is a paradigm shift for inter-operator networks: modern APIs will replace legacy signaling protocols between networks. What are the relevant security measures to protect the SBA and all parties involved? What is the role of international carrier networks like IPX in 5G? Debate about hot topics such as: IoT security, Slicing security, Privacy, Secure storage and processing and Security of the interconnection network. 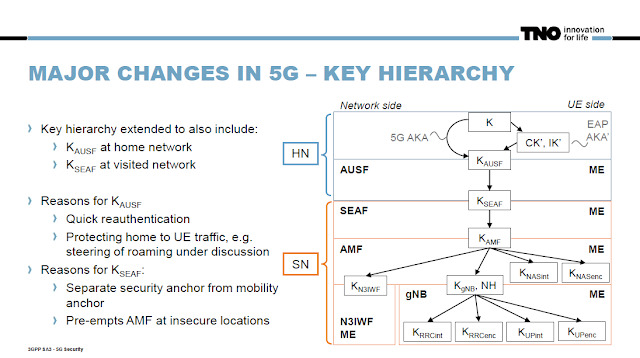 5G networks have multifaceted requirements where the network needs to be optimised for data rate, delay and connection numbers. While some industry analysts suspect that these requirements cannot be met by a single network, vendors suggest that Network Slicing will allow all these requirements to be met by a single network. A logical instantiation of a network is often called a network slice. Network slices are possible to create with both legacy platforms and network functions, but virtualization technologies substantially lower barriers to using the technology, for example through increased flexibility and decreased costs. Another aspect of management and network slicing is setting up separate management domains for different network slices. This may allow for completely separate management of different parts of the network that are used for different purposes. Examples of use cases include mobile virtual network operators (MVNOs) and enterprise solutions. This kind of network slice would, in current Evolved Packet Core (EPC) networks, only cover the PDN gateway (PGW) and the policy control resource function (PCRF). However, for machine type communication (MTC) and machine-tomachine (M2M) solutions, it is likely that it would also cover the Mobile Management Entities (MMEs) and Serving Gateways (SGWs). Figure above illustrates an example of multiple 5G slices concurrently operated on the same infrastructure. For example, a 5G slice for typical smartphone use can be realized by setting fully-fledged functions distributed across the network. Security, reliability and latency will be critical for a 5G slice supporting automotive use case. For such a slice, all the necessary (and potentially dedicated) functions can be instantiated at the cloud edge node, including the necessary vertical application due to latency constraints. To allow on-boarding of such a vertical application on a cloud node, sufficient open interfaces should be defined. For a 5G slice supporting massive machine type devices (e.g., sensors), some basic C-plane functions can be configured, omitting e.g., any mobility functions, with contentionbased resources for the access. There could be other dedicated slices operating in parallel, as well as a generic slice providing basic best-effort connectivity, to cope with unknown use cases and traffic. 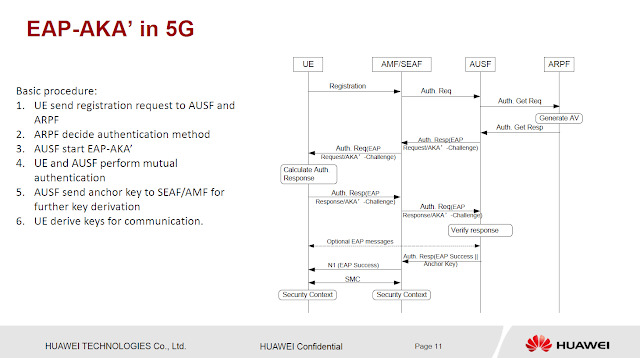 Irrespective of the slices to be supported by the network, the 5G network should contain functionality that ensures controlled and secure operation of the network end-to-end and at any circumstance. Netmanias has a detailed article on this topic which is quite interesting too, its available here. Recently, South Korean operator SK Telecom and Ericsson concluded a successful trial of this technology, see here. 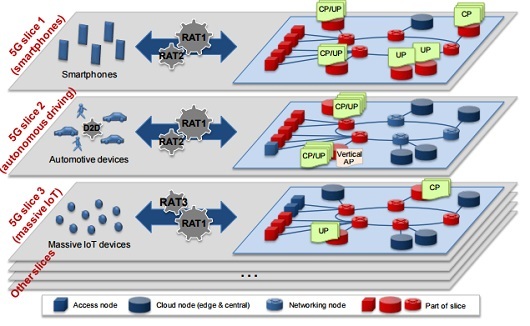 Ericsson is also working with NTT Docomo on 5G including network slicing, see here.